Greater Milwaukee Men: Feel Great: I'm Addicted To Wh-at? Or, Lose The Wheat Lose The Weight. Feel Great: I'm Addicted To Wh-at? Or, Lose The Wheat Lose The Weight. May is National Celiac Awareness Month, promoting awareness of Celiac diease - an autoimmune disorder triggered by the ingestion of gluten, a protein found in wheat, barley and rye. While I could use this space to talk more about it and specifically man-friendly ways to avoid gluten, instead I am going to broaden the conversation and talk, with personal experience, about why everyone could and should avoid wheat. Opinions about different foods and diets come and go, so it can sometimes be hard to trust the newest fad of what to eat or not eat. Eat less meat, eat less carbs, consume less fat, wait some fats are good for you. Ordinarily I would subscribe to the everything in moderation opinion, except I have recently personally experienced a lifestyle change for the better and in conjunction with Celiac month, it just seems right to pass those experiences and opinions on. That lifestyle change - not diet - was giving up wheat. I am no doctor, nor do I even play one on TV, so when I say it is my opinion that wheat should be removed from all diets it is just that, an opinion. But I am inquisitive about wellness and do my homework and I did the real work as well. 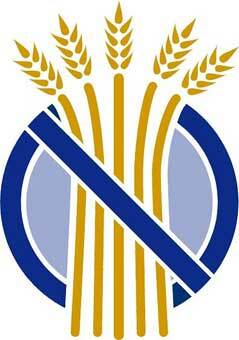 I have given up wheat, based on the information of experts, and have seen the positive effects personally. Above I said it is a lifestyle change, not a diet, and I will stand by that. A diet is usually a form of nutritional restriction meant to get an immediate result, not a permanent change. But try telling a Celiac or someone with lactose or other nutritional intolerance, someone with Diabetes or Crohn's or Colitis, or even someone with a philosophical nutritional lifestyle such as vegetarianism the way they eat is a diet. The choice to abstain from wheat may not be due to one specific heath issue (although it can be) or even be philosophical - we don't worry about 'killing' wheat - but it is in the same ballpark of decision-making and commitment. For once you decide to go wheat-less you really should never go back, its not meant to me a do it for a short while to lose weight type diet. As far as I am concerned for now it is how I will live the rest of my life. I am sure you have questions, the first of which would of course be why? Why did I choose to, and think everyone else should as well, decide to go wheat-free? Usually I like just getting info out there and not expounding on long stories, but this time is different, so bear with me while I answer them. Both personally and publicly through Well-Met Men I am constantly in pursuit of what healthy foods are - both from a human and an worldly aspect - as you can see in the posts about nutrition here, so I probably would have explored the gluten-free concept whether Celiac or not. But it came to me through a health issue - not mine and not related (well, not directly) to gluten. My wife recently had knee surgery and in the weeks leading up to it three different people presented the concept to her - her general practitioner, a personal trainer at a gym, and her orthopedic surgeon - via a book written by a doctor right here in a suburb of Milwaukee: William Davis, MD and his book Wheat Belly. Part of the reasoning was for weight, with her type of surgery she would be off her feet for 4 weeks and weight gain is easy during that time - the ortho himself reported being on the lifestyle for six months and losing 22 pounds. But the suggestions went beyond that, as part of an overall lifetime wellness solution which could address allergies, inflammation, and other symptoms that can present themselves as health issues. We picked up the book and I read it first, front to back in one night. I was intrigued. The Cliff's Notes is thus: Wheat is bad. It doesn't matter if it is whole-grain, organic or whatever label to make it seem healthier, it is not healthy, at least not anymore. Gliadin, a protein in wheat, attacks the same part of the brain as addictive drugs and stimulates appetite to intake anywhere from 400 to even 1000 or more calories per day in those susceptible. Wheat contains super gluten which is much more likely to create inflammation in the body which has been linked to autoimmune diseases, mood disorders, autism, schizophrenia, dementia, digestive disorders, nutritional deficiencies, diabetes, cancer, and more. Davis is a cardiologist and he put patients, over 2,000 so far, on the wheat free diet to help with diabetes, and with no medication their conditions reversed. In addition to weight loss other symptoms such as acid reflux, and IBS disappeared, energy and focus increased, rashes and arthritis and asthma disappeared. Here is the kicker, if they had wheat again, even a little, symptoms returned with a vengeance. And the final straw as described here under the super drug section - was proof that it is drug-like by "the fact that you can block these food cravings and addictive eating behaviors and reduce calorie intake by giving the same drug we use in the emergency room to block heroin or morphine in an overdose called naloxone." I could go on, but this isn't a book review, it is an account and suggestion on the wheat-free life so I will get on with it. I will simply recommend you get and read the book yourself. In the end, since my wife has allergies, asthma, and joint pain it seemed to be the perfect lifestyle change. I myself was starting to experience some minor health issues which included non-celiac gluten sensitivity symptoms such as "headache, 'foggy mind,' joint pain, and numbness in the legs, arms or fingers" as explained here. I thought they might be from allergies (which I never had before) and had been taking over the counter allergy meds which helped a little. So yeah it might even help me. Since I do all the cooking anyway she was on board, she just needed to learn how to make the right choices when out. We have now been six weeks without wheat. So we made the decision, now the hard part - doing it. Wheat is everywhere. The obvious things are bakery like bread and sweets, and pastas of course. So get rid of cookies and cakes, bread and bagels, noodles. But wait. There's more. Look at the labels of processed foods. Cereals are a lot of wheat, it is used as a thickener is soups, sauces, and dressings. Did you know soy sauce has wheat? Isn't it - you know - soy sauce? Yes but in most wheat is used to make it. That means check your labels and ask at the restaurant. If you go you gotta go all out and make sure you don't have any wheat. But really, honestly, its not hard at all. As I said before, I actually enjoy my food way more. After all, a free pass to eat as much bacon as I want - what's not to love? I can give up some cupcakes for more bacon. Luckily I already cook a lot from scratch so I control what I eat. Wait, no bread? How do you have a sandwich, eat a burger or brat or dog? Just toss the bun and use a fork. I know, crazy concept in this day and age of fast food. Take a minute and stop and enjoy your food. You'd be surprised at how great a restaurant burger (already far better than a fast food joint) tastes when you eat the real meat unhindered by a bun four times the size of the patty. You can actually taste the beef in an all-beef hot dog out of the bun. For home cooking I started with some recipes from Wheat Belly, and they were all good. Some like his muffins called for using almond meal or flour instead of wheat. They are a bit more gritty but then muffins are different than a cupcake anyway, but tasty - and filling. All the fiber and protein in nuts fills you up, I can have one for breakfast and not even think about snacking til lunch. You can use nut flours to make crusts on fish, to mix with ground meat for meatballs or meatloaf or fish cakes. And you can bake more things with it. I found almond meal much more pleasant than wheat flour. No messy white powder to get all over, no yeast and rising time. I explored almond flour and found that many European bakery recipes use almond or other nut flours: macarons are almond flour, tart crusts are almond, and so on. So I decided to look into almond flour as my replacement versus the other flour substitutes that try to be 'flour' like tapioca, or or even mixes meant to replace wheat flour for Celiacs. I found a great book called The Gluten-Free Almond Flour Cookbook by Elana Amsterdam and her supporting blog, and ordered bulk almond flour online from Honeyville and got to baking. I once hated baking though I like cooking, now I love baking and have joked I should open up a gluten-free bakery. Though you don't have to go all-out gluten-free, when shopping or eating out it makes it easy that gluten-free it will always be wheat free. Since many restaurants are prepared for this request and most grocery stores have a section of food it makes it a little easier. Still want that burger on a bun? There is gluten-free bread, also cookies, even pretzels. But I caution against defaulting to the gluten-free replacements of bread, sweets, and pastas since the replacement flours (rice, corn, tapioca, etc.) can be high in starches and carbs and almost as unhealthy as wheat, just without that pesky protein. Replacing spaghetti with squash, replace lasagna noodles with slices of zucchini, grain flours with nut flours are better options. What should happen is that the spot taken by wheat-flour items is filled with vegetables or other healthy options which gives you equal or better nutrition than the bread or pasta did. So you really want to know for me what happened? As I said it has been six weeks. I prefer my food without what to me was always a way to hold other food - bread and pasta and such which just are a vehicle for spreads and sauces, meats and cheeses. They are a convenience I don't need since I like to cook myself. Things I have made with almond flour including muffins, cookies, meatballs, even bread I prefer to the wheat versions. As the ortho and the book both said I would be able to, I literally east as much as I want, no calorie counting or worries about binges. I have pulled it off, but what have been the results? It took a week, and I had no side effects as some experience as a sort of withdrawal, but then I started to lose a pound about every other day or a few a week. I have now lost at least ten pounds, probably closer to fifteen depending where I was on my cycle of a five-pound lose and gain cycle. I was caring for my wife post-surgery and got out of my routine and had forgotten to take the allergy meds - but no symptoms for days. For 3 weeks now I have stopped taking them altogether and even in a Spring said to be one of the worst allergy seasons I am symptom-less. I had switched to decaf coffee for a while, but now have been able to go back to fully leaded coffee once or more a day. I have more energy and focus. Despite caring for my wife which includes doing all the housework and working my normal job during the day I still have had more energy left over afterwards to do some improvements around the house, read more, and get some writing in. My blood pressure has dropped by 10 points. I know - too good to be true? But it is true. Consider me sold. It's really up to you. The biggest thing is if you think you can go all in and then stick with it, there is no point in avoiding wheat some or most of the time and once you do you really should never go back. That and the the fact it can change your entire health is what to me makes wheat-free a lifestyle change, not a diet. If you do, don't take my word for it. There are many more details to the change including what to eat and not to eat, so I highly recommend reading Wheat Belly or other resources on a wheat-free or gluten-free 'diet'. Debatable whether the protein is eaten up during fermentation, but I am OK with no weiss. SIcne barley is related most beers are iffy so may look to more ciders, etc. I am homebrewing some sorghum beer as well.